We all are aware of the fact that the WordPress community is really big. When it comes to WordPress, we talk about thousands of developers and designers, ten thousands of writers and millions of other users who are all taking baby steps to push WordPress forward. One of the very famous ways of doing this is developing and designing different WordPress themes. So, if you’re about to create a website of your own, what are themes that you should take into account so that your website ranks higher in the search engine results? Here are some that you may consider. Optimizer: This WordPress theme has been appropriately named as it is indeed easy to personalize for gaining utmost satisfaction. The theme options of the most advanced theme lets you customize each and every element of your website with easy. This WordPress theme is retina-ready and fully responsive which means that it works well on mobile devices. This WordPress theme is used mostly for personal blogging. Future Lite: This is one among the top WordPress themes and it is creative, clean and multi-purpose theme that would be perfect for most creative agencies and other freelancers. This is a responsive layout and it adapts well to the size of the screen of the device on which it has been opened. This theme is powered with custom menu, sidebar widget, theme options, featured image, nice typography and some other built-in features. Moesia: If you’ve been looking forward to building the online presence of your company, Moesia is the perfect WordPress theme for you. You may choose from the 11 pre-existing blocks and build the homepage of your website that suits your company in the best way. Each of the homepage blocks can easily have a parallax background image that has different colors. When you use this theme, make sure you have a good header image to grab attention. InterStellar: You can create and manage your portfolio simply by using the sophisticated layout provided by InterStellar design. With multiple portfolio page layouts, the options of this theme allows you to change the color scheme, layouts, logo and you can also add Google Analytics code, buttons and columns. 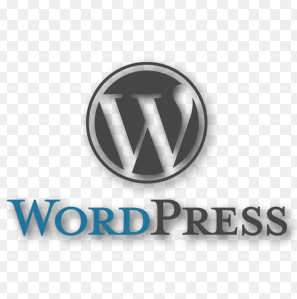 So, irrespective of the purpose of your website, you can easily use any or all of the above mentioned WordPress themes. Just ensure using the best one for the best website so that it looks good. Know more about website development and content management tips here. Web Development Tips For 2015 – What Should A Web Designer Take Into Account?